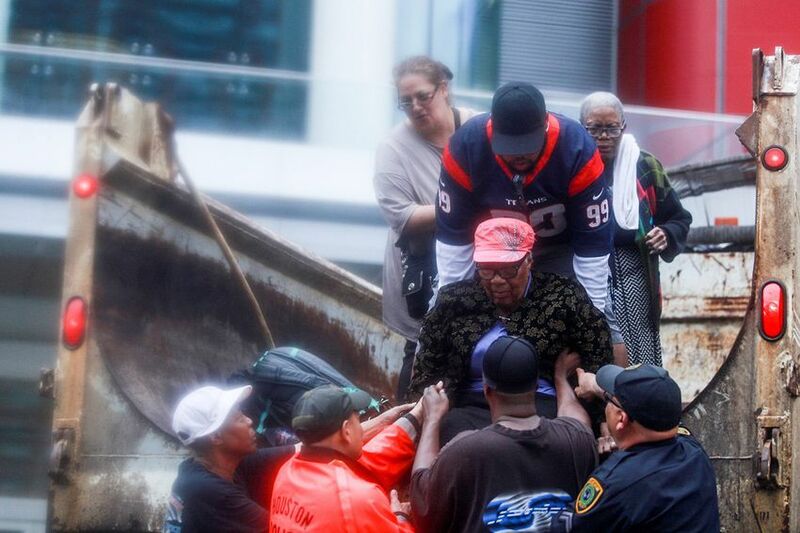 Texas has suffered a heavy blow from Hurricane Harvey. This disaster will continue to unfold in the weeks and months ahead as Texans try to put their lives back together and rebuild. Laws pushed by the insurance industry through the years will make this process very difficult. Too often, insurance companies deny, delay, and underpay valid claims in an effort to pad their profits. Dangerous and misguided laws in Texas strengthen the hand of insurance companies even more in property damage disputes. 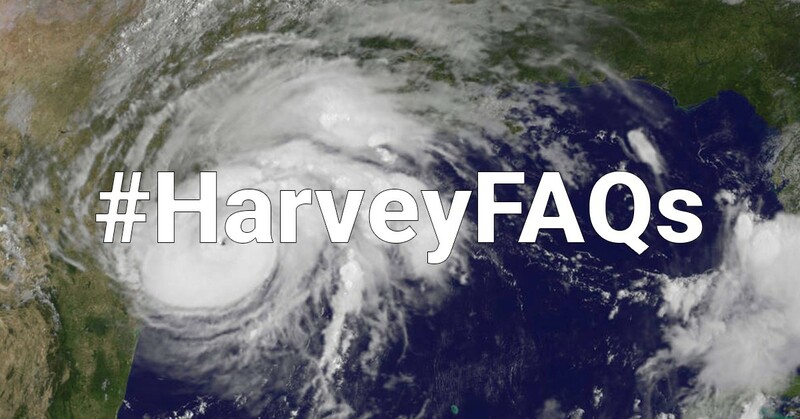 We’ve put this resource page together to generally inform Texas property owners struggling in Harvey’s wake. This “Frequently Asked Questions” resource is not legal advice. Legal matters vary on a case-by-case basis, so those with questions about their property matter should contact an attorney for legal advice. The State Bar of Texas maintains a toll-free referral hotline at 800-252-9690. Please share and circulate this resource page widely, attributing it to Texas Watch. Texas Watch, a non-partisan, non-profit organization, has advocated for policyholders since 1998. You can download a printable version of this resource in English here, in Vietnamese here, and in Spanish here. 1) How should I inspect my property? 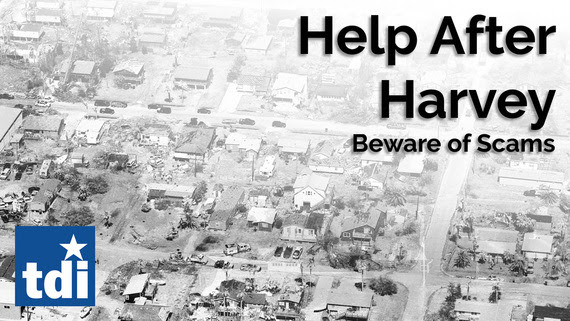 If you’ve been displaced, do not return to your property until local authorities have declared the area safe. Dangers include downed power lines, broken gas lines, hidden debris, structural damage, electrical issues, standing water, and shifting earth. If you smell gas in the air, leave the area immediately and report it to authorities. If you have suffered water damage or other damage in your roof, walls, or foundation, contact an electrician before flipping any switches. Contact your local authorities at 3-1-1 to determine if it is safe to return to your area. If it is deemed safe, take pictures of any damage to the structure and your belongings, paying particular attention to valuables. If you are able to safely do so, limit further damage by applying a tarp to cover holes in your home or building. 2) I can't return home right now. How do I pay for this motel? If your home isn’t habitable after the storm, your insurance policy may provide for “Additional Living Expense” or “ALE” coverage. This could pay for temporary lodging, such as motels or hotels. Review your policy and contact your insurance company to see if you have this coverage, as well as its limits. Keep all receipts. 3) How should I communicate with my insurance company? It is best to communicate with your insurance company about claims in writing to remove any argument as to when you contacted them and what you said. This could be by email, fax, or certified mail (return receipt requested). Keep an extra hard copy of all communications sent in your personal file. Also, keep all written material received from the insurance company or agent, including envelopes showing the post marked date. For any oral communications, like phone calls or in-person conversations with the insurance agent or adjuster, note what was said and who said it in a written log. Send a follow-up email to the insurance company confirming the discussion. Build an organized paper trail so it is clear exactly what was said, who said it, and when it was said. 4) How and when should I file my insurance claim? You should file a property insurance claim as soon as you discover damage. Tell the insurance company that your home or business suffered damage as a result of Hurricane Harvey and that this communication is intended to serve as notice of your claim. Include your full name, address, and insurance policy number, if you have it with you. You do not have to wait to file a claim until you have pictures of damage. The important thing is that as soon as you discover damage, put the insurance company on notice by filing your claim. You should not delay in filing your claim. Our insurance laws are changing for the worse on September 1, 2017, when House Bill 1774 goes into effect (see SECTION 4 of the bill at http://www.capitol.state.tx.us/tlodocs/85R/billtext/html/HB01774F.htm). We opposed this “Blue Tarp Bill,” which was pushed by the insurance industry, because it hurts homeowners and business owners. By filing your damage claim before September 1, 2017, you may potentially preserve an 18% interest penalty on insurance companies that drag their feet in paying valid claims. Discussions about the effective date of this legislation, the date of notice of your claim, and how this impacts your legal rights should take place between you and your lawyer. You may have suffered both wind and water damage. File a claim with every property insurance company you have. Flood insurance is sold separately from your homeowners policy. Property owners along the coast may have yet another insurance policy with the Texas Windstorm Insurance Association to cover windstorm damage. Locate all of your insurance policies and put every insurance company who has taken your money on notice with a written claim if you have suffered damage. If you are not able to file your claim before September 1, you should still file your insurance claim as soon as you discover damage. 5) What does the Blue Tarp Bill do? House Bill 1774, better known as the "Blue Tarp Bill," slashes penalties on property insurers that drag out payment on claims; forces many insurance cases into our backlogged and understaffed federal courts, where it takes twice as long to receive justice; imposes additional costs on property owners; and may make it harder for them to find a lawyer willing to take their case. It does nothing to ensure property claims related to weather are paid on time or in full, meaning it effectively punishes homeowners and business owners in our state. Bottom line, it is a bill that insurance industry lobbyists wanted, and the Texas Legislature and Governor Abbott gave it to them. 6) How do I check out contractors? After storms, roofers, public adjusters, and other contractors may start advertising their services in neighborhoods. It is important to ensure these contractors are reputable and established. Ask for references and call those given. Check to make sure the contractor carries insurance or a bond, and ask for evidence of this. Look them up on services like Angie's List, the Better Business Bureau, or Yelp to see others’ experiences with them. Multiple written estimates -- detailing the scope of work, materials, and labor needed -- from reputable contractors can be helpful in determining the full extent of damage and whether your insurance company is offering a sufficient claims payment to make repairs. 7) How do I check out lawyers? If your insurance company is giving you the run around, low balling, or stiff arming you, you may need to contact an attorney. The State Bar of Texas offers a toll-free referral hotline at 800-252-9690. You can look for lawyers at this State Bar website: www.texasbar.com/findalawyer. Ask the lawyer about their experience in handling first party insurance claims, check to see if they carry professional liability insurance, and ask for references and call those provided. It is important to know that attorney advertisements are regulated by the State Bar and solicitation of cases is strictly prohibited under the law. 8) Should I deposit this insurance check? If an insurance company sends you a check, read it and any paperwork very carefully before depositing. If it states “claims payment,” “claims settlement,” or “claims release” do not deposit the check unless you are satisfied with the amount. 9) What are some other insurance resources? The Texas Department of Insurance has a “Help After Harvey” page at www.tdi.texas.gov/consumer/storms/helpafterharvey.html. They can also be reached at 1-800-252-3439. The Office of Public Insurance Counsel, the state-funded policyholder advocate, can be reached at 1-877-611-6742 or www.opic.texas.gov. To learn more about the National Flood Insurance Program, please go to https://www.fema.gov/national-flood-insurance-program. Arm yourself with knowledge, ask questions until you understand, get it in writing, and don't take no for an answer if your insurance company is trying to dodge its responsibilities. You paid 100 cents on the dollar in premiums and deserve full payment on your covered claim. Fair is fair.